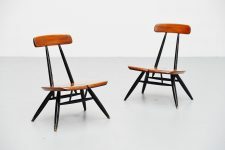 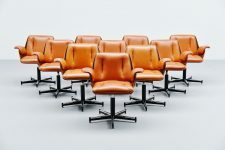 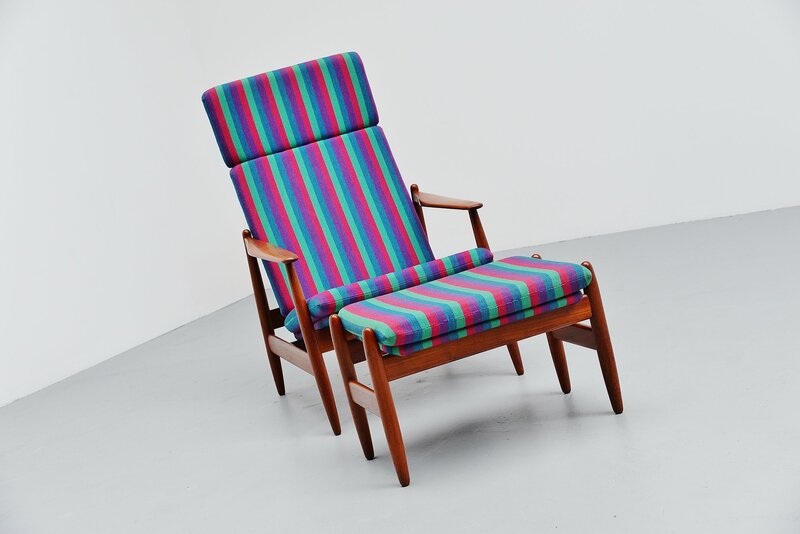 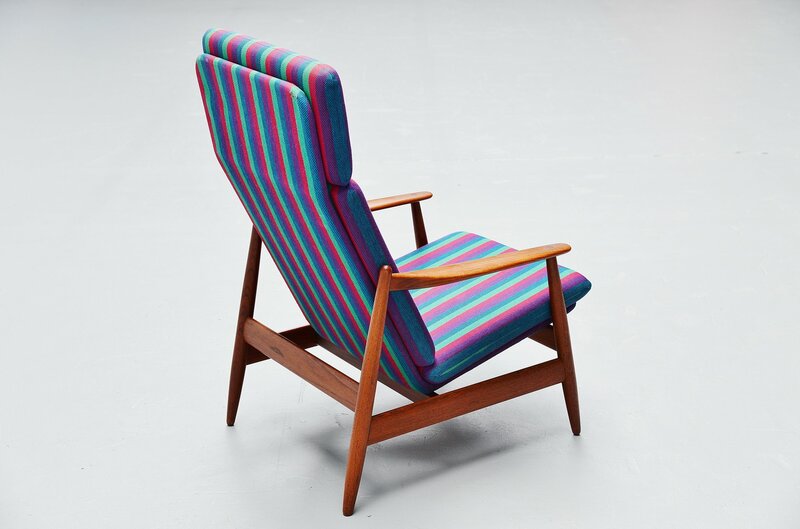 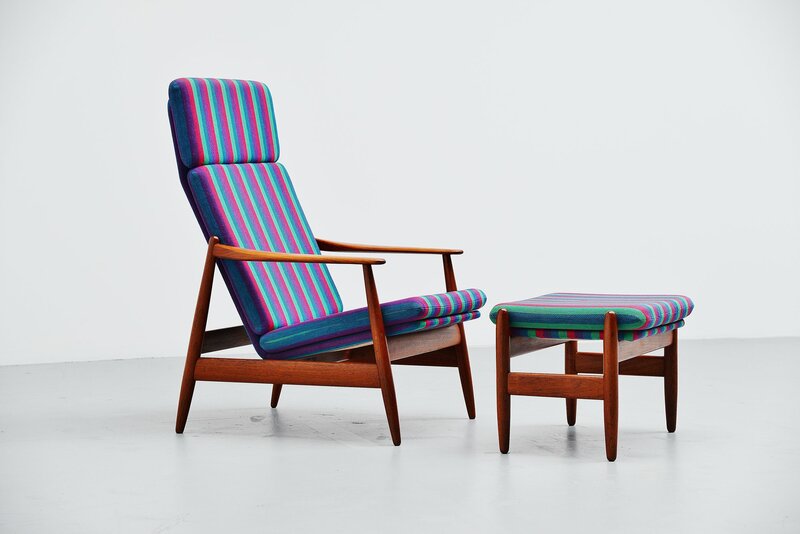 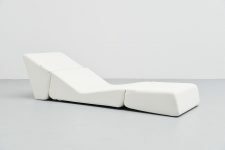 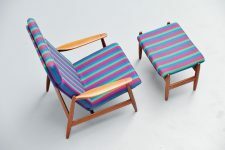 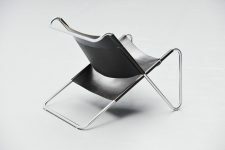 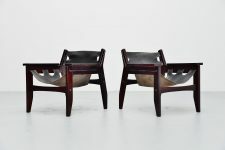 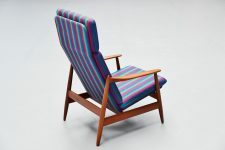 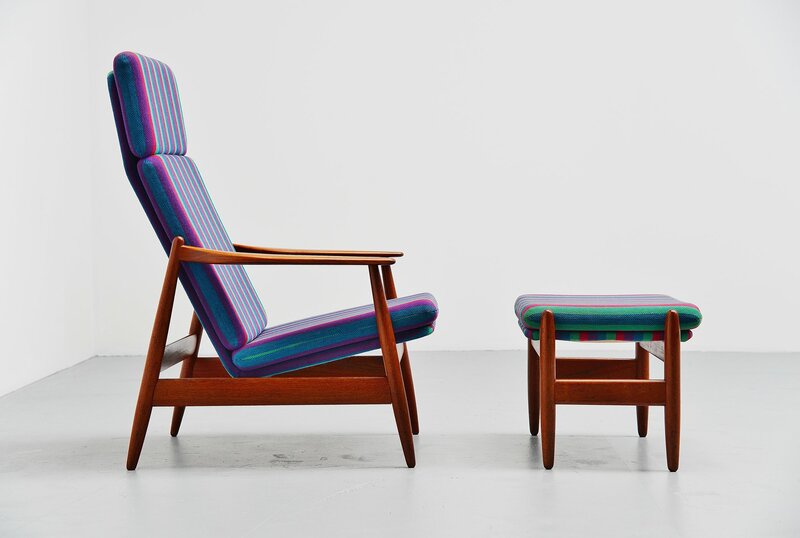 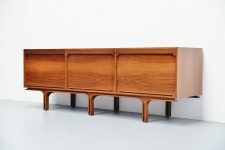 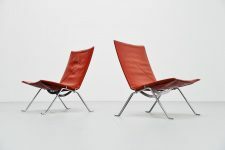 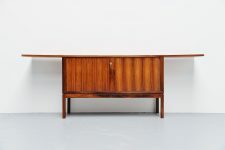 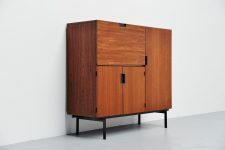 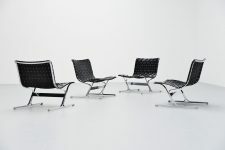 Rare lounge chair designed by Poul M. Volther and manufactured by Frem Røjle, Denmark 1960. 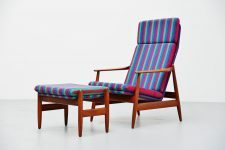 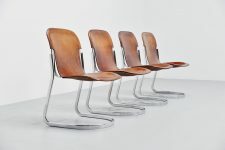 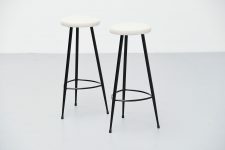 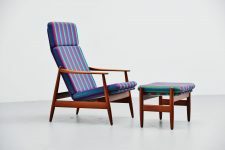 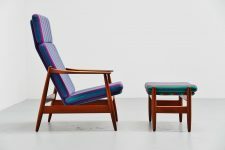 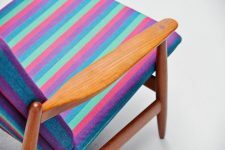 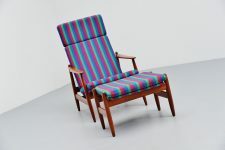 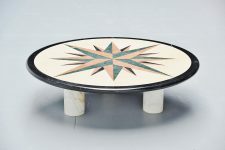 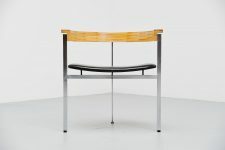 The chair has a solid teak wooden frame and has its original striped upholstery. The chair is in amazing condition there is only a small repair to the top corner of the back of the chair. 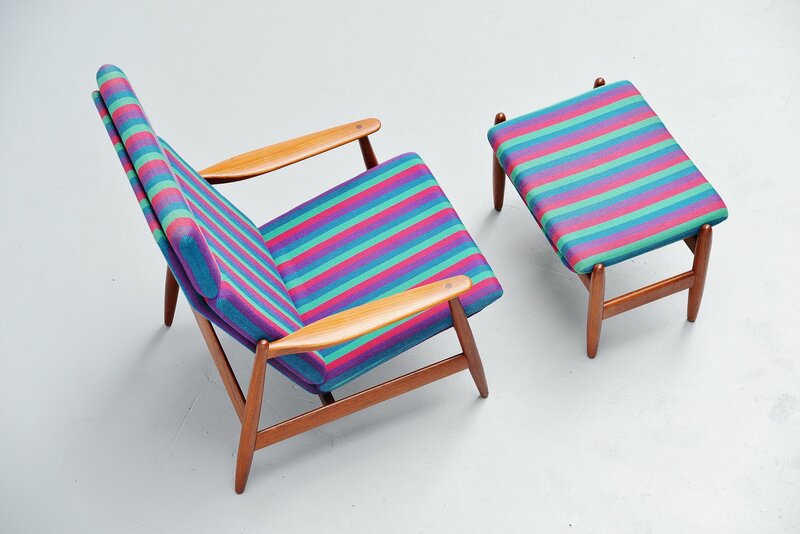 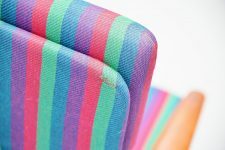 Very nice psychedelic striped fabric which is fully original and in excellent condition. 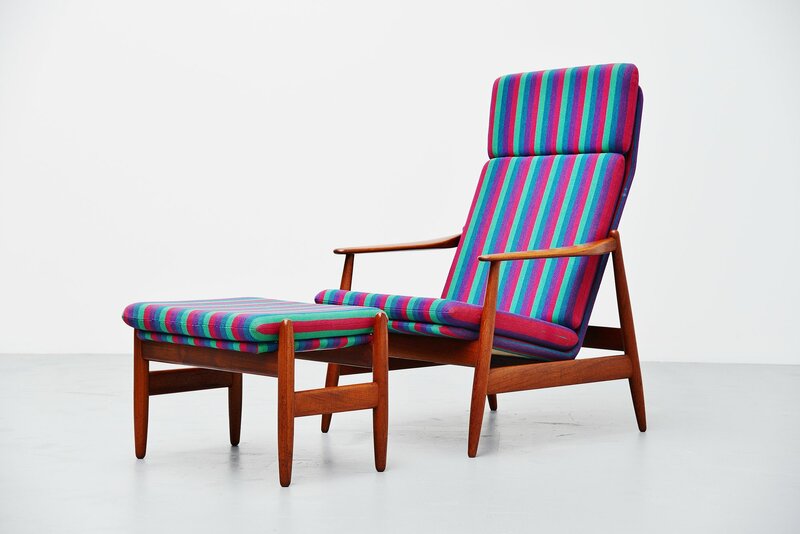 Comfortable lounge chair with nice details.